The first question that you will need to ask yourself when you fancy getting stuck into playing some real money slot games on an iPad is just what types of game you are actually looking to play. There are hundreds upon hundreds of different mobile slot games that you are quite easily going to be able to access and play on that mobile device. If you like playing three reel slot games then you will find quite a number of those types of slots games are fully compatible with iPads, but make sure you always play maximum coins or maximum pay lines to benefit from any bonus jackpot payouts that may be listed on those mobile slot games pay tables. Should you be dreaming of winning a huge life changing jackpot then you should try and give some of the many differently structured progressive slot games some play time on your iPad, for with jackpots that can grow into the millions there is always going to be the chance you could hit the big one when playing progressive slot in any of our featured mobile casino sites. However, if you are looking for fun and entertainment along with lots of winning opportunities then make sure you give some of the fruit machines and video slots game a whirl as there are lots of them which are all fully compatible with iPad devices. If you own an iPad then let us now give you are few ideas of some of the best slot games which you are going to be able to play on that device. All of the slot machines listed below are available at many of our fully reviewed mobile casino sites, so getting access to them will be easy! Lotto Madness – This iPad slot is one on which whenever you spin in three of its scatter symbols you get to spin a large bonus wheel, the wheel is divided up into lots of different segments each containing a different amount of free spins and a multiplier value. That means that you could be awarded with a large number of free spins on a high valued multiplier via that bonus wheel. Cash Splash – There are several progressive slot games you can play on an iPad and one which does get a lot of play time is the Cash Splash slot. This is actually a three reel slot with just one payline but do play three coins spins to have a chance of winning its large progressive jackpot! Thunderstruck II – The more times that you play the Thunderstruck II Slot game and the more times you trigger the free spins then more and more options will be available to you in regards to how you can then play off your free spins. Mermaids Millions – One additional iPad compatible slot game you may be interested in playing is the Mermaids Millions slot game, this slot offers a large base game jackpot and both a free spins bonus game and a pick to win bonus feature round. Which casino has unique and exclusive iPad slot games? 888 Casino is a casino that is quite unlike most others for when you choose to play at that leading and very well known online casino sites you will find not only a great supply of unique iPad slot games but you are also going to find games from lots of different suppliers. As such you will find games available via their instant play gaming platform that have been designed and supplied by both NetEnt and Playtech. Do mobile casinos offer slot game tournaments? Many mobile casinos will offer you the chance of taking part in a slot casino game tournament, however be aware that when you do play in a slot casino game tournament offered by an iPad compliable casino site the way the tournaments are structured will be different than some you may have entered before. It will be the number of comp points you earn when playing slot casino games for real money that will determine whether you are going to win a cash prize or not, so you will have to play those games with your own real money throughout the tournament to have any chance of winning. Which mobile casinos allow deposits by PaySafeCard? If you want to play slot games at a mobile casino site but you want to be able to fund your casino account using PaySafeCard, then you should make your way over to the Europe Casino site. They allow both small and large deposits by their players who have opted to use PaySafeCard and will always pay their winning players in the very fastest of time frames. Will I earn comps when playing iPad slot games? You will earn comp points in much the same way that you earn them when playing in a land based casino if you choose to play the mobile slot games, however the comp points will be automatically added to your loyalty club account and you can redeem them whenever you like. Hunt around our casino reviews for the sites offering the most iPad slot game comps as there are plenty of mobile casinos to choose from! 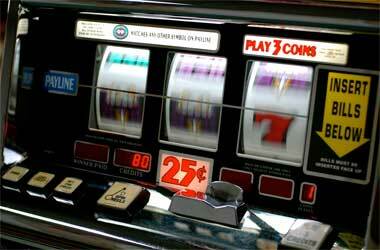 What are the best slot games to play? If you are looking for a slot game to play then you need to make a note of the long term expected payout percentages that every single game offered at any casino site you are think of playing at has on offer, and then pick the ones to play which boast the highest payout percentages. By doing just that you will find that more of your stakes, over your long term play, will be returned to you as winning payouts. Where can I deposit can play using Instadebit? Instadebit is one of many casino banking options that a lot of players find very convenient and more importantly very cost effective. If you wish to use Instadebit as your deposit option of choice then one casino site that is always going to allow you to use it as one of their approved banking options is the Royal Vegas Casino.